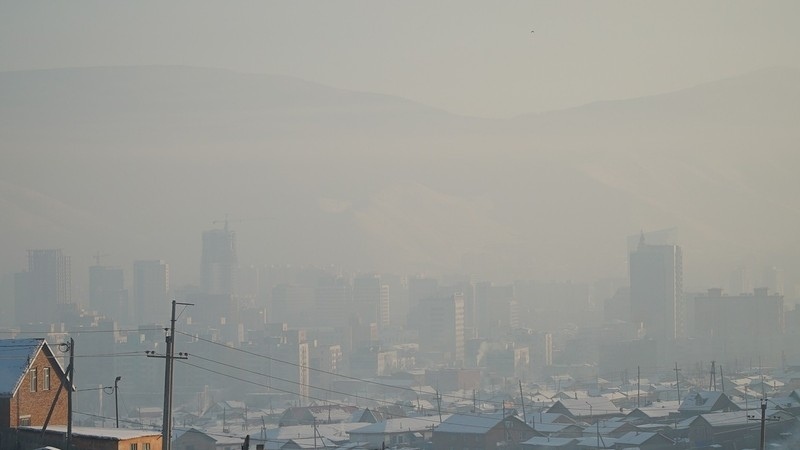 AKIPRESS.COM - As of 30 January 2018, the level of PM2.5 pollution in Ulaanbaatar reached 3,320 micrograms per cubic meter or 133 times the level WHO recommends as safe, Gogo news agency reported. The most important source of air pollution comes from coal-burning stoves in the “ger” districts (informal settlements) during the cold season. Rapid urbanization continues to cause a problem of unplanned settlements and increased air, water and soil pollution. Unless concrete efforts are made address this situation, exposures will increase in the coming years with significant health consequences for the city`s population, especially for children. Children are the most vulnerable to adverse health effects of air pollution from the day they are conceived. Pregnant women`s exposure to air pollution can affect growing baby`s lungs and respiratory system causing pre-term birth and spontaneous abortion. In Mongolia, a 3.5-fold increase in fetal deaths have been documented between winter and summer. Air pollution is also inked with diseases that can be highly damaging for children, such as bronchitis and asthma, causing children to miss school and other important learning and development opportunities. Toxic chemicals in the air harm unborn baby`s brain development and contribute to behavioral and cognitive problems later in childhood, evidence suggests. According to UNICEF in last 10 years, incidents of respiratory diseases in Ulaanbaatar alarmingly increased including a 2.7-fold increase in a respiratory infections per 10,000 population.